Let me be the first to make the bad joke, to use the predictable metaphor. It will also be the sense of frustration in the air, maybe even of exasperation, and likely too a whiff of foreboding about the whole situation. On both sides there will be spin. On both sides there is already expectation management. Here are a few things, however, that are currently true and will probably still be true by Friday lunchtime, with the slim but real chance of course that it could all get turned upside down. Second, there is not likely to be any answer to the main bind on Friday. The UK does not want to put any more cash on the table, beyond the 20bn euros implied by Mrs May's Florence speech. Whatever else is said or briefed privately, this is the fundamental issue. 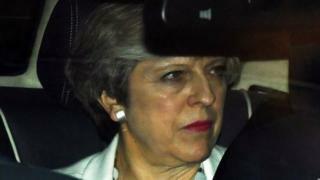 And until the PM feels she is in a political situation where it's possible and desirable to budge it's hard to see how they will move on as certainly, there is no appetite on the EU side for a shift. Third, something will have gone very badly wrong, however, if there is not a nudge towards moving on. Sources say foreign ministers agreed the draft version of the conclusions of the summit yesterday that are not likely to change much. They don't exactly give a green light to the next phase, but they do at least give a bit of a push in that direction - although not quite as clearly as the UK had hoped. Fourth, the EU is still concerned that the UK government is yet to present a clear picture of what it really wants the long-term relationship to be. And it's still the case, sources tell me, that the full cabinet is yet to have a proper discussion that tries to find that answer. Sounds extraordinary but given how divided the party is, arguably the lack of discussion is what keeps things even vaguely calm. With guns drawn in the Tory party there is no temptation for Theresa May to fire a shot. And there's nothing in the next couple of days, or even the next couple of months, that's likely to change that or to answer that much more fundamental question.